Going through some old pictures, this one “caught” my eye. In May, I was asked to do some work for a couple of weeks in the city of Sao Tome, the capital city of the Democratic Republic of Sao Tome & Principe. STP is off the coast of Africa at just about latitude and longitude 0 degrees; the intersection of the equator and Prime Meridian. Since I would be on-site for a couple of weeks, I decided it would be a good opportunity for a new fishing experience. Checking with some locals I was advised that the best Big Game Fishing was on the sister island of Principe. But since June is the start of Marlin season, and I had arrived a couple of weeks early, I decided to stay local. So I got in touch with a guide named Ignacio, via email. The guide was quite professional in response to my inquiries and gave me details about what we could fish for and when. About two weeks before my arrival, however, I couldn’t reach him and assumed that he was out working the waves. Upon arrival I learned he’d gone on vacation. “Leve leve” is a local mentality which you either enjoy or sometimes become a victim of, depending on which end of the expression you are on. It means something like, “slow and easy” and it defines the lifestyle of the citizens of STP. If you are looking to slow down and take life as it comes, it’s a great motto. If you happen to be left without a fishing guide because he was suddenly overcome by a whimsical wave of “leve leve”, it can be a little frustrating. Not to be discouraged, I started asking around about other fishing guides. 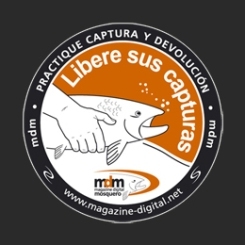 I’d heard about a diving service, Club Maxel, that some of my co-workers had used, and fortunately they also offered Big Game Fishing. 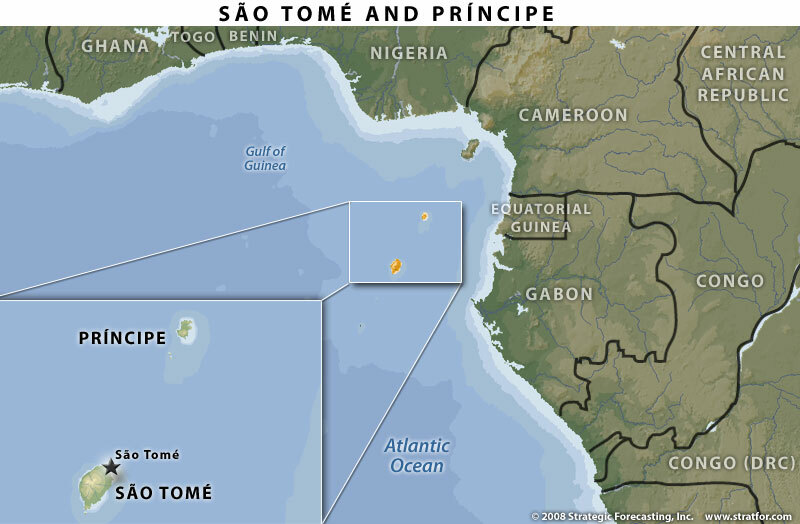 Another reason to fish Sao Tome instead of taking a plane over to Principe, was that while I was asking around about guides I’d inadvertently stirred up some excitement about going after some big game and a few of my colleagues said they would be interested in joining me. Charlie (a seasoned bass fisherman from Texas) was working on a separate team from the one I was working on, but we saw each other quite regularly and he was game from the start. So we already had a party of two. Laurent had been working with me every day since I arrived so that we could meet our deadlines. We hit it off pretty well. When I asked if he’d be interested in going along on the fishing trip, he said he’d never been fishing before, as if offering up a confession and thus disqualifying himself. “All the better!”, I told him. After confirming his “availability” with his wife, he told me that as long as he brought back fish, he’d go. With the addition of one more, John D., we had a full crew and I called the new guide Jean Louis to confirm. Since he was already booked up for the weekend, we agreed to go out on Tuesday and meet him at his boat by 5:45am. Sailfish would be our target. Another colleague of mine, John K., who is living temporarily in Sao Tome with his wife, offered up his Coleman cooler for sandwiches and drinks. On Monday, I had sailfish on the brain and couldn’t wait to start the preparations. In the afternoon I called our driver, Alfredo who picked me up to go in search of our provisions. The first stop was for ice, and the second was for beer. I’d been to Lisbon a few years ago for a week long conference and fell in love with the city, food and Sagres beer. Sagres Branca is a golden lager that’s been around since 1940, and a similar version, Chopp with a slight lemon taste, was introduced in 2006. It’s the top selling beer in Portugal, and for my taste, it’s a top quality beer that I think measures up well against just about any out there. I also drool over the ad. Finding the beer wasn’t that difficult, but Alfredo wanted to be sure I got the best price possible. So we visited a couple of places, where he did the negotiations. Finally, after talking with the young girl over the counter for about 5 minutes (and honestly, I couldn’t tell if he was haggling or hitting on her – probably both) he smiled at me letting me know he’d struck a deal. We quickly made the rest of our shopping rounds before running back to our hotel to drop everything off. 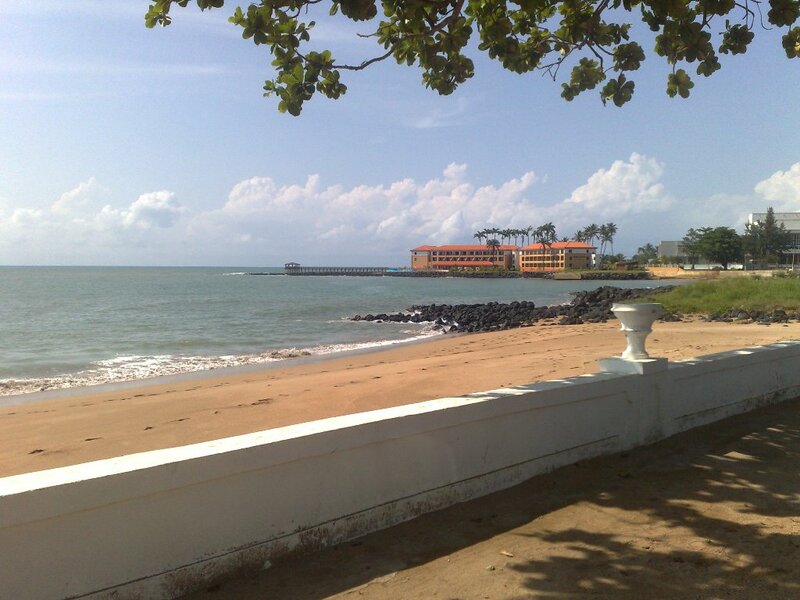 We were staying at the Pestana São Tomé and, like the local people, the staff was very friendly and helpful. They made an extra special effort to serve us breakfast well before regular hours on Tuesday. I often work in some pretty rough places around the world and the accommodations aren’t always the best. You make the best of it because you know that even though you may not be in a 5 star hotel, the local people can rarely scrape enough together to stay in a hotel, period. But this tour of duty was quite unlike many others. The Pestana is one of a couple of resorts on the island that has very high quality service and accommodations. 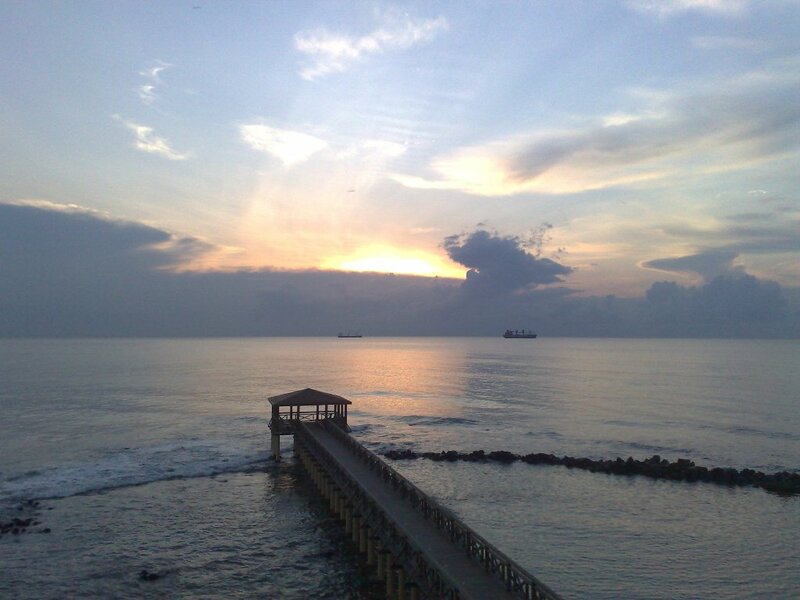 It sits right on the ocean and treated me to some really beautiful sunrises. The morning of our trip was no exception, which was a relief because it had been raining for the two previous days. We were to meet our fishing guides at a dock near the Omali Lodge. I was anxious to see what our means of transport would be. I’d already been on the island a week and had seen plenty of fishing boats, but they were of the local “skiff” variety. 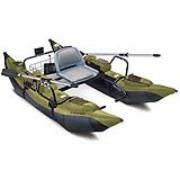 Basically a dug-out canoe, sometimes with up to 5 or 6 fishermen. 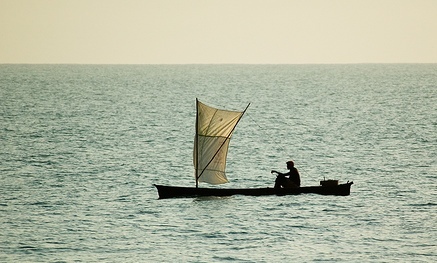 In fact, it’s quite common to hear about fishermen being lost to the sea, because these small boats can capsize easily. During the prior week, a fisherman’s body was pulled from the ocean near the commercial port where I’d been working. 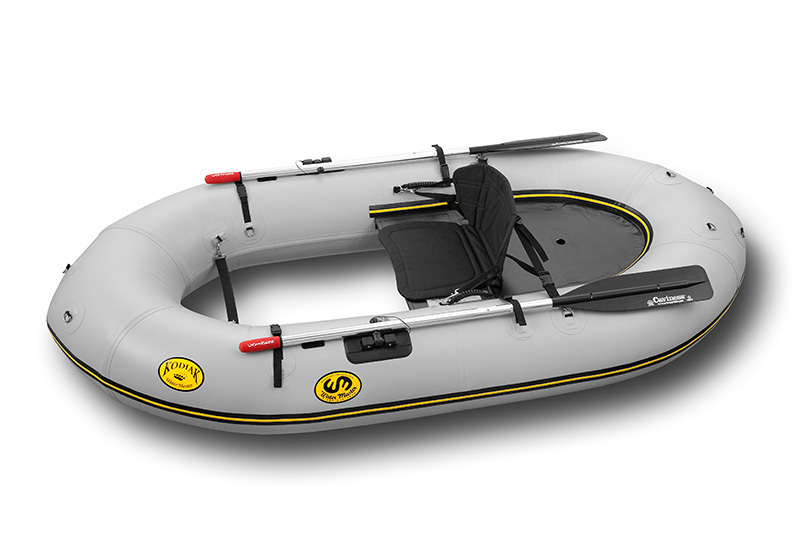 Of course I didn’t expect that we’d be going out in one of these dug-outs, but I was curious to see what kind of equipment we’d be relying on while out on the open ocean. We arrived on time and were introduced to the crew that would be taking us out that day. Jean Louis has been contracted to assist on a project to develop a new deep water port, so he wouldn’t be able to take us out himself that day. He told us we’d be in the good hands of Ed and his assistant “Dede”. We loaded up our cooler of sandwiches, cokes and beer and a couple of bags of gear. It was a beautiful morning and everyone was quite optimistic including myself because I could tell we were working with a serious outfit. 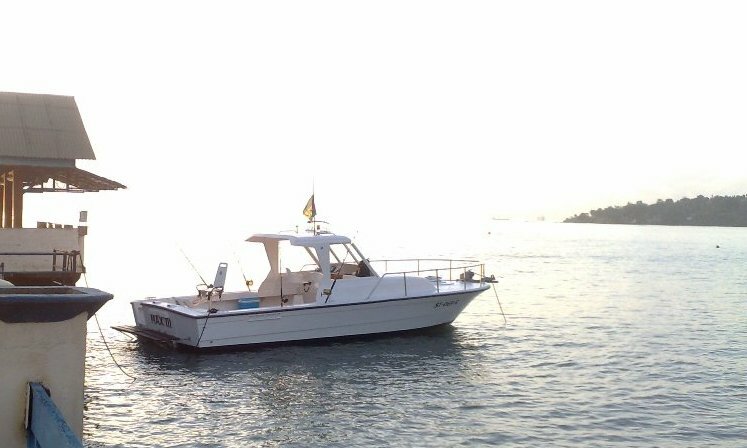 It was not only because of the boat and equipment, but you can often tell when an operator knows what he’s doing if you’ve been exposed to enough of them. Later I learned that they were the best outfit on the island. I was keeping an eye on the GPS and could see that we were about 6 miles out from shore, in water that was over 1000 feet deep. Ed was doing ever larger circle patterns trying to find a trail the fish might be using to migrate between the island and deeper waters. We planned to fish until 2pm. And allthough the waters were fairly calm when we left that morning, the wind was constant all day. Not hard, but enough to put energy into the sea, so the waves increased all day. Around 11:30 we still were without luck and started to take interest in the cooler, and thus, pass the time. Laurent had also made a cake the night before, so our fishing trip was turning into a nice expensive little picnic on the West-African ocean. For the sandwiches I bought ham and cheese, but also some local variety of salami. It was very tasty, but a bit greasy and not such a good choice when trying to fight off sea-sickness. 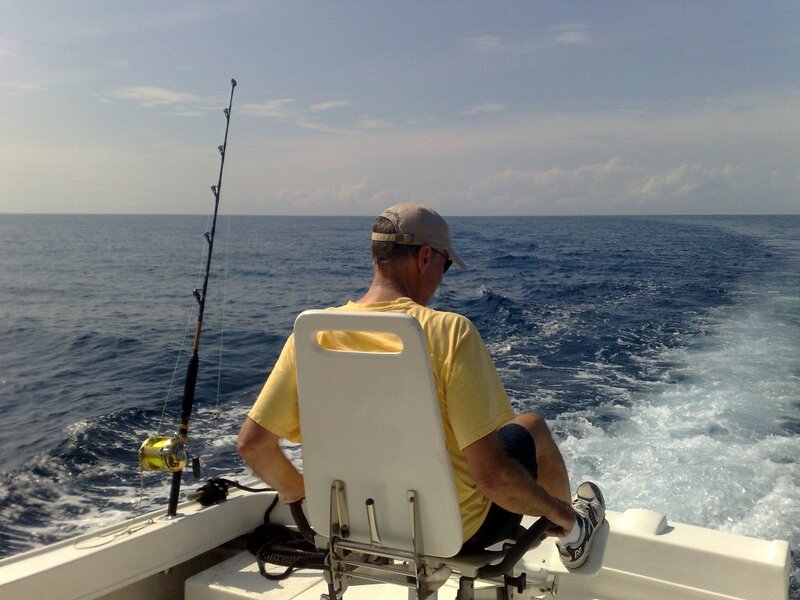 We’d picked numbers early to decide the order in which we’d each sit in the chair as we hooked up fish during the day. Since we weren’t having any luck, and to keep our gaming spirit alive, I added a rule. If anyone happened to be sitting in the chair when a fish was hooked, that person would get to bring it in. This helped to get some rotation through the chair as if sending a signal to the fish to give it their best shot. By 1pm we hadn’t caught anything, it was hot and I was starting to get a little woozy. I was ready to call it a day. If anyone of my fellow travelers would have suggested as much, I’d have agreed. Did the fish know about “leve leve”? The guide, Ed, started moving us in towards the coast and I was watching the GPS all the while. Charlie said to me that he wondered if the guide might be taking us to his “sweet spot” so as to be sure we weren’t skunked on the day. I’ve seen this before with certain guides. If all else fails they’ll take you to their sweet spot, but generally won’t take you there right off the bat for two reasons. First, to keep their sweet spot secret from other guides, and second, so as not to fish out and preserve the spot. I was watching our depth rise to about 600 feet. The depth in this area, north of Ilheu de Cabra, was anywhere between 600 feet up to 60 feet…and that’s when we started to get some action. The first strike was amazingly hard. There was no playing with the lure. That fish knew what it wanted, and was committed. It immediately started shooting out of the water as it raced away toward the horizon. While our guide was getting the line ready to hand it to John (who had been sitting in the chair at the time) a second line hooked up. It wasn’t as strong a hit as the first. Charlie went for the line and, being a fisherman himself, realized that he shouldn’t set the hook right away and give this one a chance to commit to the bait otherwise he might just pull the lure right out of its mouth. We could see this fish just under the surface of the water about 10 feet from the boat. Ed took the line from Charlie, but within about a minute, the fish had gone off the lure. The other lines were brought in quickly and John waited for the signal from Ed to start working the line. He looked a bit nervous and later told us he was afraid the reel would run out of line before he got the signal to start reeling in. In the meantime, this fish must have breached the surface at least five times. It was awesome to see it launch its metallic and rigid body out of the ocean like a underwater missile, and then splash back down on the surface and run further towards the horizon. It moved at a speedboat’s pace and in no time was so far away it was hardly visible. Finally Ed signaled John. He started working the line but seemed to be laboring pretty hard. After about 5 minutes he asked Laurent if he wanted to bring the fish in. We all started teasing him straight away and telling him to keep up the fight and not to “wimp out”. It was a battle to the death between them. Looking back, it’s somewhat ironic because he’d probably still be alive if Laurent would have accepted his initial offer. Finally after his second offer, with arms like spaghetti, he handed the chair over to Laurent, who had been bouncing around behind the chair with excitement anyway. Laurent is in his early thirties and to me is the perfect vision of a Belgian from the hinterlands and the Walloon region. He could also just as easily be from Norway, don a horned helmet and would fit perfectly on the deck of a Viking ship. If this fish had any chance of escape before, it was now S.O.L. Very quickly the fish was up near the boat. John had actually done quite a bit of the work after all, but we still had to land the still very active and reluctant catch. Ed and Laurent detached the rod handle from the chair, and while Laurent managed the rod, Ed worked the line with gloved hands. Dede was ready with the gaff. Bringing the sailfish around the side of the boat was the easiest way to handle it and then wait until the right moment to bring it on board. The elongated bill is truly like a sword and can be quite dangerous, so Ed got a firm grasp on it as the fish was pulled into the boat. It was by no means ready to give up its fight and continued to thump the deck of the boat and lifting its body at least a foot off the floor with each smack of its tail. I was instantly shocked by the beauty of the creature, and later amazed at how much its color faded once the oxygen in its system was exhausted. The blue and silver color and sleek body reminded me of a jet fighter. Its sail was originally retracted, but when I reached down and extended it, we could briefly see a mix of patterns in different shades of purple and blue, before those colors, in no time at all, began to dull as well. The sailfish was at least 70 lbs. and was less than half the average size caught in these waters. Ed asked Laurent whether or not so release the fish, and with a red faced ear to ear grin, he gave him his answer. Laurent had achieved his goal after all. He had fulfilled his wife’s requirements that if he were to go fishing he’d better bring home something to show for it. After that Sailfish was in the boat, the whole day seemed worthwhile. We got a new wind in our sails and by the time it was 2:15pm we were sorry to see Ed signal Dede to bring the lines in and head to port. Back on the dock we each took turns snapping pictures of ourselves and teasing Laurent. Since we each had our own picture with the prize, once we were back home, we might not clear up any misunderstanding about who actually caught the it, I told him. For my own part, I was as happy about Laurent making the catch as if I had done it myself. 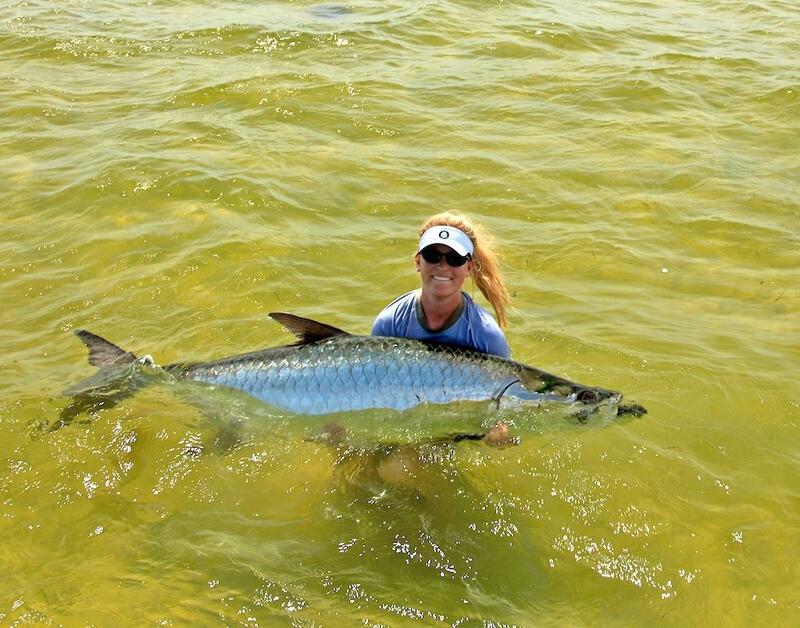 It’s that feeling a fisherman gets when an “inductee” to the sport makes his or her first really big or special catch. It’s like reliving your own “first time”. It’s funny how there are some things that never leave you. Whenever I think about going fishing in Canada, I always get this little tune in my head that starts with… drums please! I’m currently planning a fishing trip to Canada in 2010 with at least 30 of my closest friends and family, and lately I haven’t been able to get that tune out of my head… but it’s quite alright. For me it’s kind of like “Canada Trip” theme music. I wasn’t old enough to see this commercial first hand, but I certainly saw later versions. By themselves the commercials wouldn’t have made such an impression on me. My uncle Paul is the reason behind this musical memory. He used to sing the jingle at any given moment. We could be fishing, driving or even playing cards and he’d suddenly turn, look right at me and break into the beat, pounding on my leg or on the table and start singing… “From the land of Sky Blue Waters [waters]…” then as quick as he started, would go back to playing his hand. I don’t think Hamms Beer was ever part of the provisions on all those trips I took with my father, uncles and cousins as a kid. There was always plenty of Molson and Labatt’s, and an attempt to settle the debate on which brand of beer is better was carried out through nearly constant guzzling taste tests, even to this day. Those are fun memories too. Nothing sticks with you and can generate almost total recall like a smell, taste or a tune. 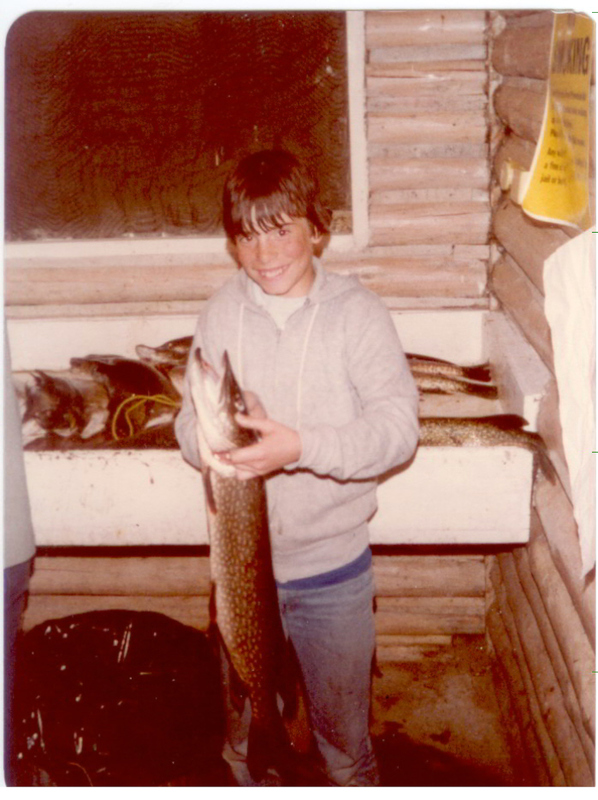 Just hearing the music again turns my thoughts to the monster Pike [for a 9 year old] I caught, with my cousin Mario, on a chartreuse Daredevil spoon he’d used all morning and told me wouldn’t catch anything. It never caught another thing, but I still have it in my tackle box. Or the time that my uncle Jim was out alone on his boat and didn’t return for hours after dark, and when he finally showed up, his first words were “Wait ’til you see this S.O.B. !” grinning from ear to ear. My palms get sweaty and my heart starts to click a little faster when I think about all those moments that live on in stories told [and to be repeated] around the card table during the next trip in 2010. Next year my boy will be 10 and joining the group for the first time. 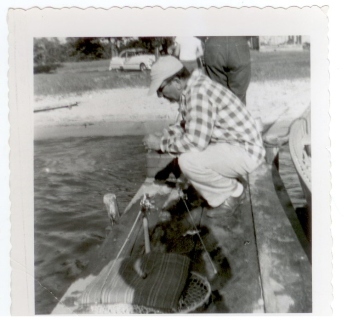 He’s about the age I was when I started the (men only) semi-annual fishing trips to Canada. I wonder what he will recall 30 some years from now and if he’ll be preparing for an upcoming trip, singing a little tune he can’t get out of his head.